Everyone needs a little escape right? 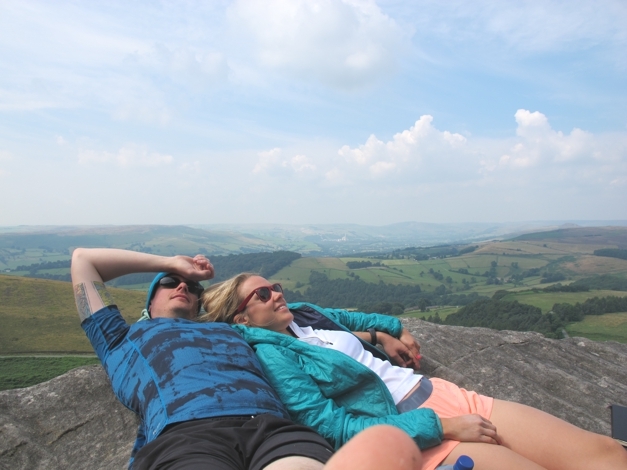 Last week Charley and I jumped on a train from London on Wednesday afternoon and headed up to The Peak District for two nights of camping and climbing in the hills. We arrived at 6pm on Wednesday to stunning afternoon sunshine. We walked the 3 kms to the campsite, pitched tent, walked back to town again, had dinner, then walked back to the campsite and snuggled up in our sleeping bags. 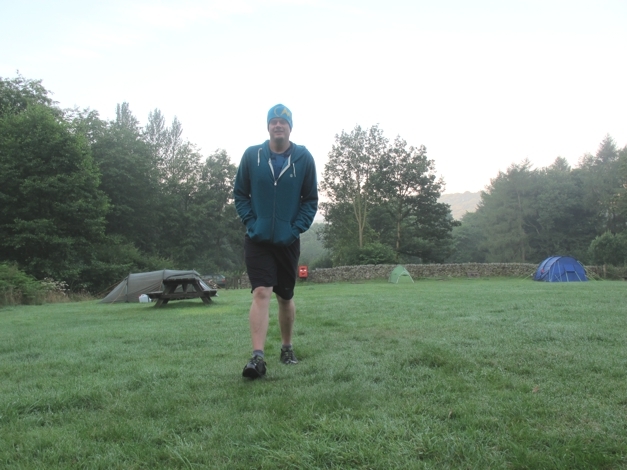 The following morning we were up at 6am with the feeling of dawn and open air seeping in through the tent walls. 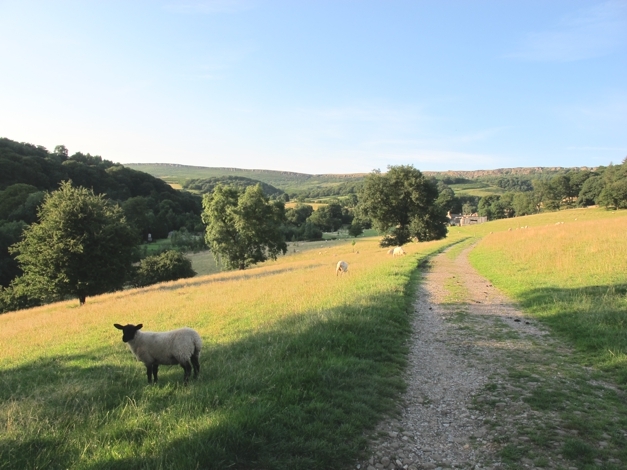 The North Lees campsite in Hathersage is incredibly well located. (Don't I sound like a Londoner, oh dear!) 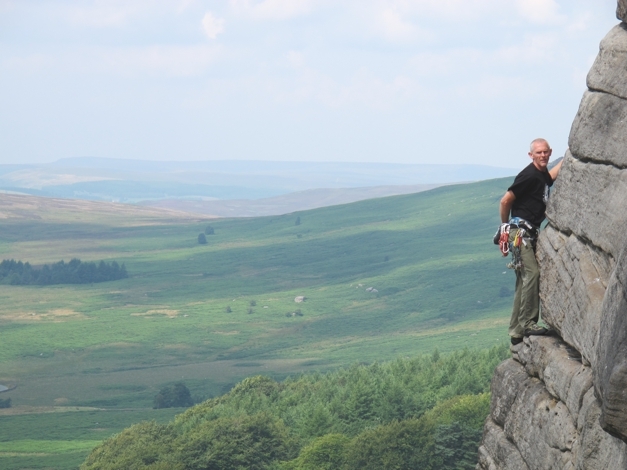 It's 20 mins walk from the bottom of Stanage Edge - 7 miles of grit stone climbing, hiking and views over the hills. My favourite thing about the campsite - apart from how friendly the owners are - is the river that runs through it providing the soothing sound of flowing water and also a great 'natural fridge' to keep beers cool. Winner! It's incredible what one day in the hills can do for your soul and mind. 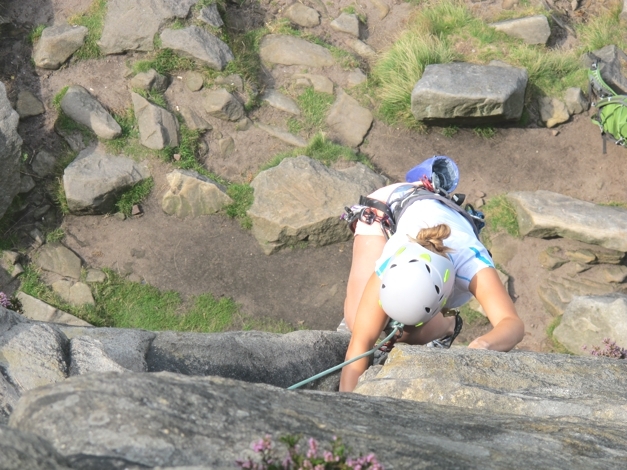 We were the first people on Stanage Edge on Thursday morning, starting our first climb at 7:30am. In the distance there was a hot air balloon flying above the valley. 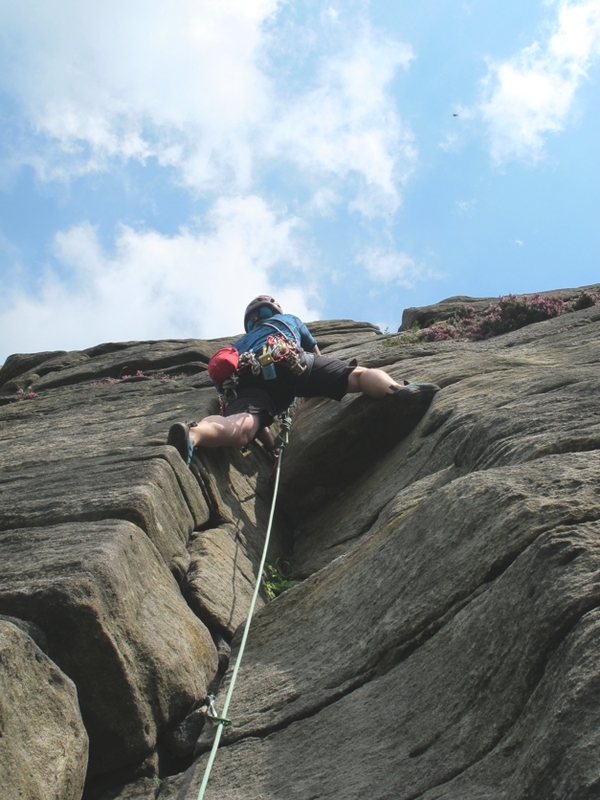 We climbed 3 routes by lunch time when we ate sandwiches and lay on the warm rock watching other climbers tackle the routes we had been on. I could have stayed there all day! I'm sure we're all guilty of putting pressure on ourselves to constantly be DOING. ACHIEVING. MAKING PROGRESS. Sometimes we just need to let ourselves breathe, to live and BE. When up in the hills, I realise that the rest of the world can wait. Emails, phone calls, decisions... they can all wait. What's important is quality time with the people we care about, connecting with the world and doing the things we love. Even for one day, it can make the world of difference. After lunch we tackled one more route with hand jamming before deciding to call it a day. I needed to do some run training so headed off along Stanage Edge, admiring the views and running until I thought I should head back. I dropped down off the edge, ran back to the campsite and then into town to meet Charley. 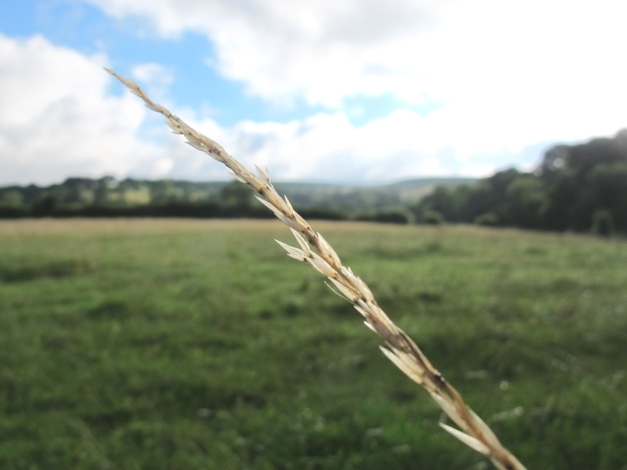 We spent the afternoon laying in fields, drinking coffee, eating nuts and talking about our climbs, our new career prospects and generally feeling the positive effects of getting out of London into the open air. About 6pm we headed to the pub for dinner and a few drinks with our good friends Charlie and Dave who live in Sheffield. If you feel you need a break, grab a friend, jump on a train and go. Live your dream, don't let excuses get in the way.